As a quick review of 2017, I'm sharing my five most visited 2017 blog posts here. Number one is the Ombre HST quilt tutorial I posted in February which has been very popular on Pinterest. Numbers 2-4 are all finished quilts, one of my son's and two of mine. And number five is the first week I shared my block a day project. I completed all 100 blocks during the sew along and hope to finish that quilt in 2018. Visit my Best of 2015 and Best of 2016. And check out my Best Nine of 2017 on Instagram. I'm linking up with Cheryl's Best of 2017 Linky Party. Posted in Quilting on December 30, 2017 by sarah. 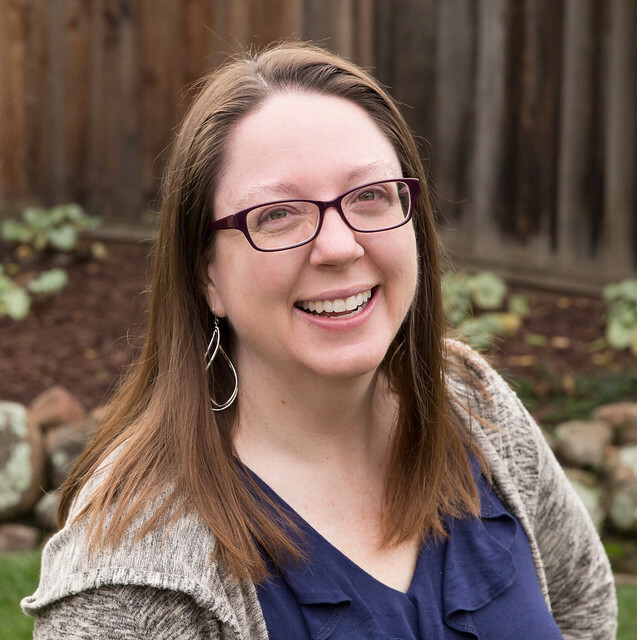 I was so amused when I read Kim's tips for getting ready for the upcoming season of Project Quilting and number seven was to finish up any puzzles you've started. 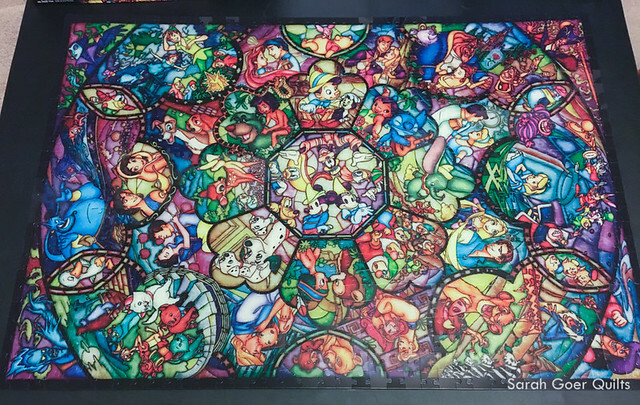 You may remember that I started a puzzle a few days ago. 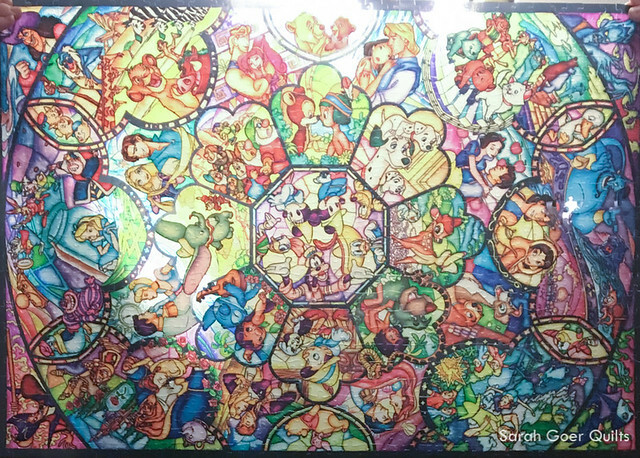 So, here it is, my finished 1000 piece "stained glass" puzzle. The first photo shows it on my black tabletop and the second shows it held up and backlit. I may just tape this up in the window of my studio. 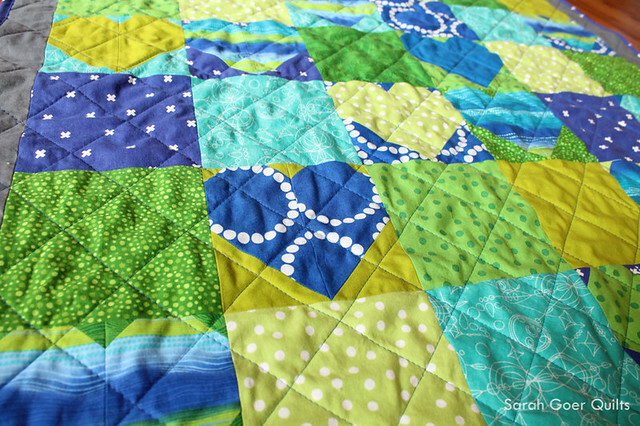 Have you ever sewn for a quilt challenge? 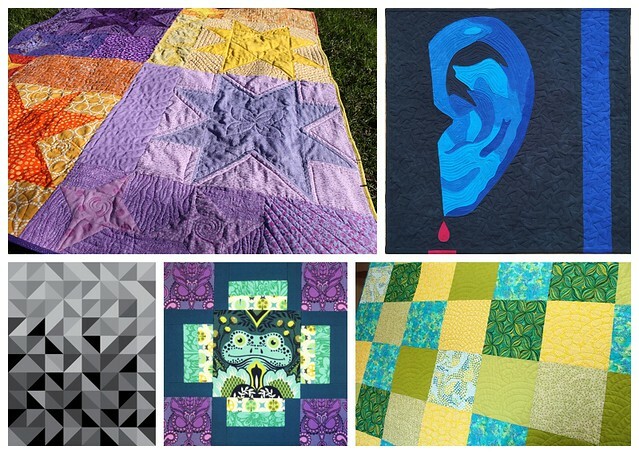 Participated in Project Quilting? I hope you'll consider joining in for this season's challenges. The first one start January 7. Let me know you'll be participating so I can keep an eye out for what you create! Posted in Quilting on December 27, 2017 by sarah. I participated in the 2017 weekly Project Quilting Challenges which I really enjoyed. This was my favorite from the series. I love the color palette and the dots and stripes. Read more. 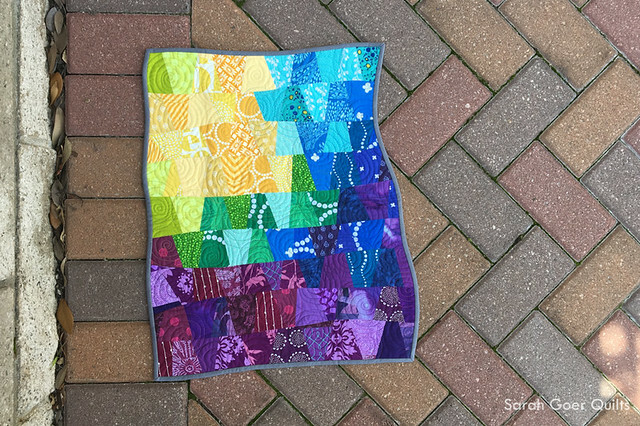 This mini quilt was made for the MQG swap and delivered at QuiltCon. It was hard for me to give away. Read more. 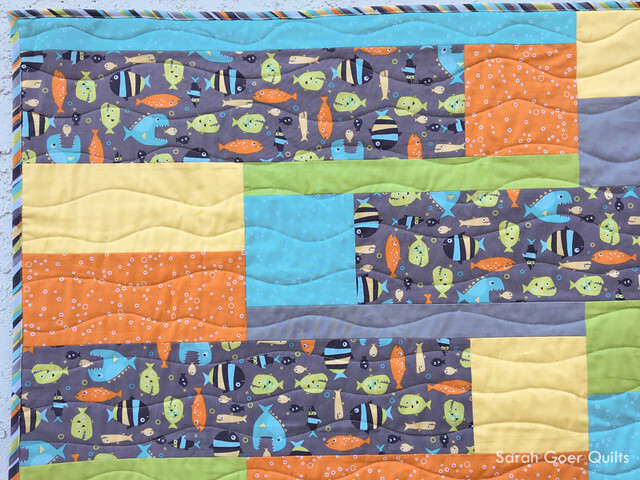 This one is most exciting because it is the cover quilt on my first quilt pattern release. And I love the fish! Read more or get the pattern. 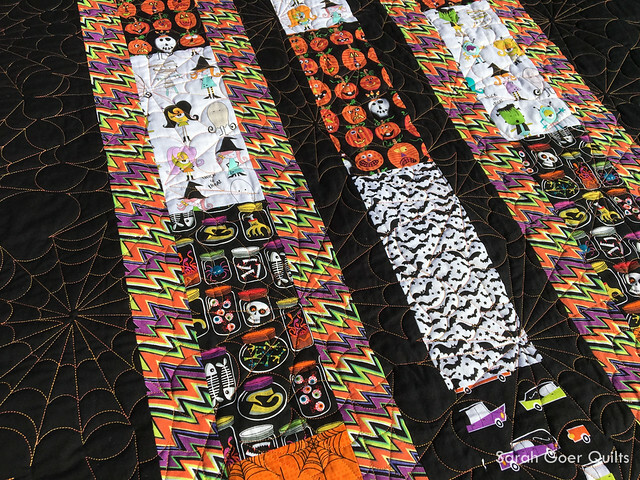 I've been collecting cute Halloween fabric for years and finally made a Halloween cuddle quilt for our household. The pattern by Quilt Theory went together quickly and easily and I love the spiderweb quilting by Tami. Read more. Planned Improv: Scrappy Squares is my first 6-hour quilt workshop that I'm teaching. My favorite version of this technique that I've made so far features the blue solids. Read more. I'm linking up to Cheryl's Best of 2017 Linky Party. 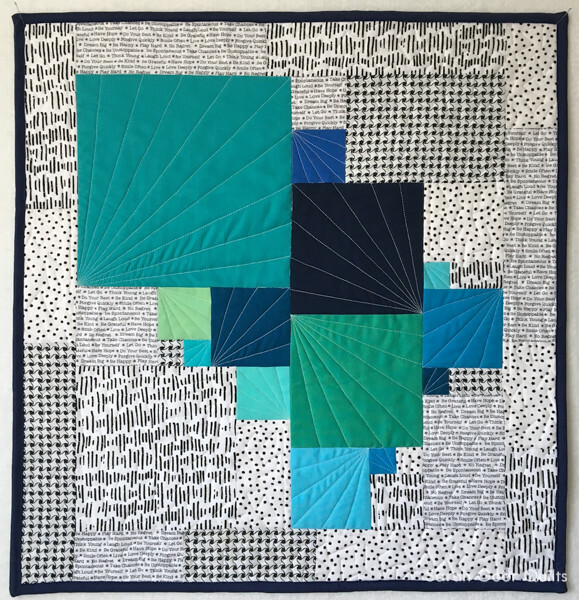 Posted in Quilting on December 26, 2017 by sarah.